About John Margetts – John's Cameras. I am a camera enthusiast who collects old cameras. The cameras I collect are those that capture my imagination – there is no sophisticated design here. I prefer used cameras – given the choice between a showroom condition camera and an old beater, I will choose the old beater every time. My cameras are for using, not (just) displaying. Most of my cameras are in usable condition and get used as often as I can use 50+ cameras. I have been using cameras since the mid 1950s and I have been a serious photographer since 1969. Currently, my photography is a mixture of analogue and digital – I have nothing against digital but prefer analogue most of the time. 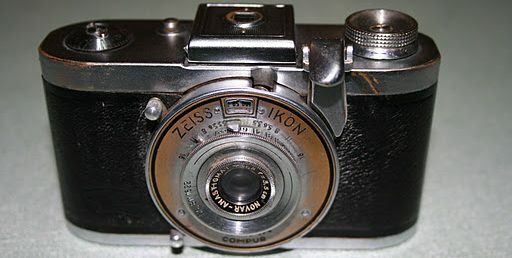 This blog is really a sequence of descriptions of my collection of old camera. I do not research the cameras for this blog – I describe a real camera that is sitting in front of me, when it is not actually in my hands. Where my descriptions vary from information to be found on the Interweb – that information is clearly not complete (or wrong!). It is also worth knowing that a lot of people do research on-line for their web pages and end up repeating other peoples’ mistakes. That is why I decided to restrict myself to describing real cameras in my possession only. Any mistakes here are mine and unique! The range of cameras I have described here is restricted by the number of cameras I can afford to buy. I buy as many as I can get away with but my budget only stretches to around one camera each month. If anyone has old cameras that they would like to write an article on – if they can stick to the format I have established here – I would love to include them in my blog. In particular, I would like addendums from people who have variations on the camera models I have already described – again, sticking to the format I have established. I can be contacted here if you are interested.